I have started to become a breakfast person as I have become older. 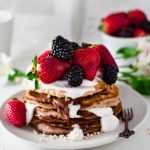 I used to hate eating in the morning, or any kinds of breakfast foods. 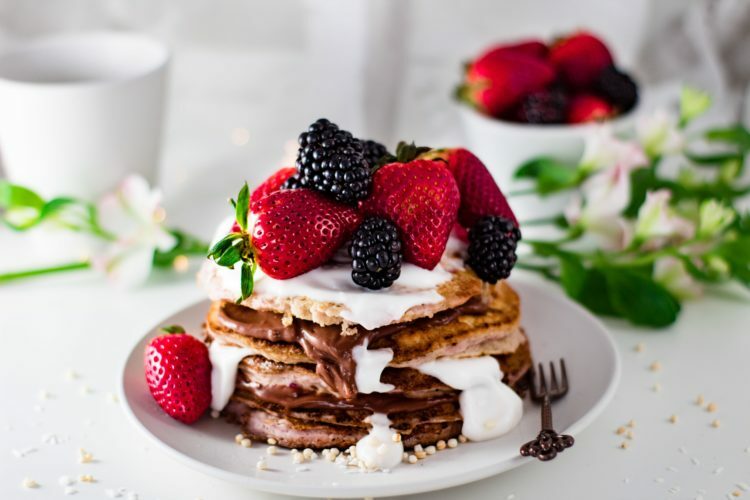 Pancakes are one of the things that I have now come to enjoy. After doing some research, I realized people are using aquafaba (the liquid from canned chickpeas) in their pancakes, so I gave it a try! It took a few tries, but I finally got the proportions right! There are very few ingredients needed to make these pancakes, which is great! 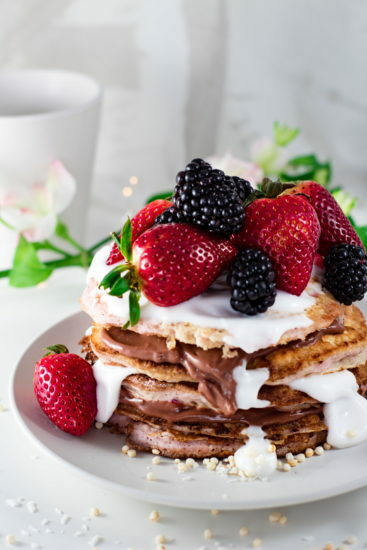 I think the simplier a breakfast recipe is, you’re more likely to make it again! I decided to make my pancakes sugar free because I feel that it’s something that you don’t need sweetened! Especially if you’re like me and like to top them with yogurt and fruit! I whipped the aquafaba up until it formed soft peaks, which took around 3 minutes. I didn’t add anything to the aquafaba, but some people add a small amount of lemon juice. Isn’t it crazy how it looks like whipped egg whites? Now it’s time to fold in the whipped aquafaba. Make sure that you don’t over mix the batter so that it remains airy and light. Cook on a lightly oiled griddle over medium-low heat for around three minutes, flip cook for around two more. I added pink pitaya powder to mine to give it a girly vibe, but you don’t need to add this. 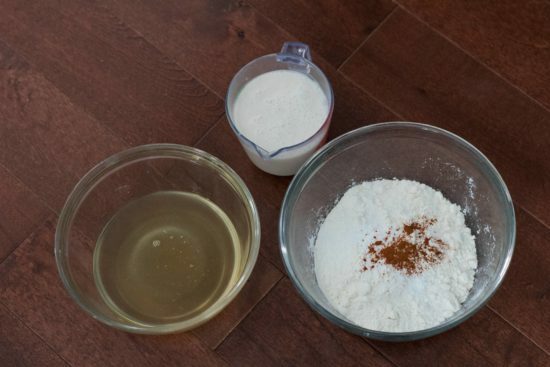 Combine the milk and the vinegar and let it rest for 5 minutes. Combine all the dry ingredients and stir well. 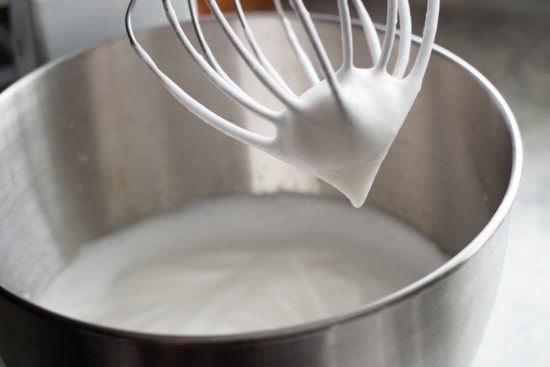 In a stand mixer, beat the aquafaba for 5 minutes, or until it forms soft peaks. Add the milk mixture and the vanilla to the dry ingredients. 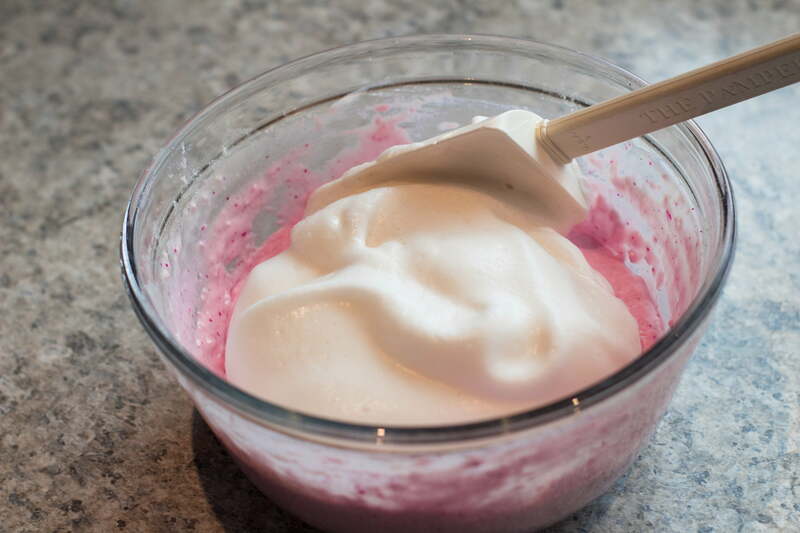 Fold in the aquafaba. DO NOT OVER MIX. Over medium-low heat, scoop about 1/2 cup of batter on a greased griddle and cook for 3-5 minutes. Flip once the bubbles stop filling on the edges. Cook for another 2-3 minutes. Yum! Yum! Yum! So good!